Management of metastatic renal cell carcinoma has drastically changed in the last few years, witnessing the advent of more and more target therapies and, recently, of immune-checkpoint inhibitors. On the other hand, the adjuvant setting still lacks a clear beneficial treatment. Medical treatment still remains a compelling challenge. A large number of clinical trials is ongoing with the aim to identify new therapeutic approaches to expand the options in our repertoire. Several strategies are under investigation in renal cell carcinoma (RCC). These include new targeted agents and combinations of target therapy and immunotherapy. Programmed death receptor-1 (PD-1), programmed death receptor ligand 1 (PD-L1) and cytotoxic T-lymphocyte antigen 4 (CTLA4) are just part of the intricate network that regulates our immune response to cancer cells. Co-stimulators, such as glucocorticoid-induced TNFR-related protein (GITR) and tumor necrosis factor receptor superfamily, member 4 (OX40), and co-repressors, example.g. T cell immunoglobulin and mucin domain 3 (TIM-3) and lymphocyte-activation gene 3 (LAG-3), also take part. As knowledge of the functioning of the immune system grows, so do these pathways to target with new drugs. This review is an overview of the current state of the clinical research, providing a report of ongoing Phase I, II and III clinical trials for localized and metastatic RCC, including novel target therapies, novel immunotherapy agents and new combinations strategies. Mollica V, Di Nunno V, Gatto L, Santoni M, Cimadamore A, Cheng L, Lopez- Beltran A, Montironi R, Pisconti S, Battelli N and Massari F declare no potential conflicts of interest with respect to the research, authorship, and/or publication of the article. Motzer R, Thomas Powles, Michael B. Atkins, Bernard Escudier, David F. McDermott, Cristina Suarez et al. IMmotion 151: randomized Phase III study of atezolizumab plus bevacizumab versus sunitinib in untreated metastatic renal cell carcinoma. J Clin Oncol. 2018. https://doi.org/10.1200/jco.2018.36.6_suppl.578. Motzer RJ, Penkov K, Haanen J, Rini B, Albiges L, Campbell MT et al. Avelumab plus axitinib versus sunitinib for advanced renal-cell carcinoma. N Engl J Med. 2019. https://doi.org/10.1056/nejmoa1816047. Rini BI, Plimack ER, Stus V, Gafanov R, Hawkins R, Nosov D et al. Pembrolizumab plus axitinib versus sunitinib for advanced renal-cell carcinoma. N Engl J Med. 2019. https://doi.org/10.1056/nejmoa1816714. Du W, Huang H, Sorrelle N, Brekken RA. Sitravatinib potentiates immune checkpoint blockade in refractory cancer models. JCI Insight. 2018. https://doi.org/10.1172/jci.insight.124184. (Epub ahead of print). Ramapriyan R, Caetano MS, Barsoumian HB, Mafra ACP, Zambalde EP, Menon H et al. Altered cancer metabolism in mechanisms of immunotherapy resistance. Pharmacol Ther. 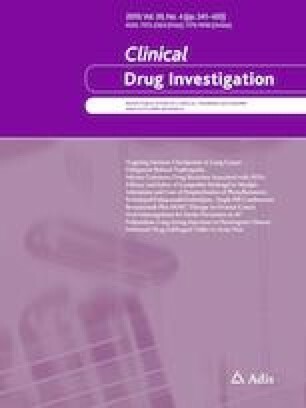 2018. https://doi.org/10.1016/j.pharmthera.2018.11.004. (Epub ahead of print). Wang Q, Feng F, Wang J, Ren M, Shi Z, Mao X et al. Liver X receptor activation reduces gastric cancer cell proliferation by suppressing Wnt signalling via LXRβ relocalization. J Cell Mol Med. 2018. https://doi.org/10.1111/jcmm.13974. (Epub ahead of print). Bendell JC, Patel MR, Moore KN, Chua CC, Arkenau HT, Dukart G et al. Phase I, First-in-human, dose-escalation study to evaluate the safety, tolerability, and pharmacokinetics of vorolanib in patients with advanced solid tumors. Oncologist. 2018. https://doi.org/10.1634/theoncologist.2018-0740. (Epub ahead of print). Baybutt TR, Flickinger JC Jr, Caparosa EM, Snook AE. Advances in chimeric antigen receptor (CAR)-T cell therapies for solid tumors. Clin Pharmacol Ther. 2018. https://doi.org/10.1002/cpt.1280. (Epub ahead of print).